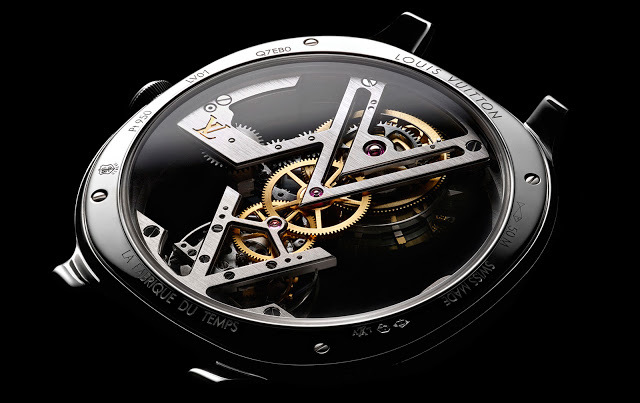 Since it acquired independent watchmaker La Fabrique du Temps and installed the team at an expansive facility in Geneva, Louis Vuitton has been steadily growing its line of watches. While it just unveiled the entry-level LV Fifty Five earlier this month, the Parisian trunk maker has just revealed its ambitions at the other end of the spectrum with the Flying Tourbillon Poinçon de Genève. A slim platinum wristwatch with a newly developed, open-worked movement, the Flying Tourbillon Poinçon de Genève is the first Louis Vuitton wristwatch to qualify for the Geneva Seal, a hallmark of finishing and functionality overseen by the cantonal government of Geneva. 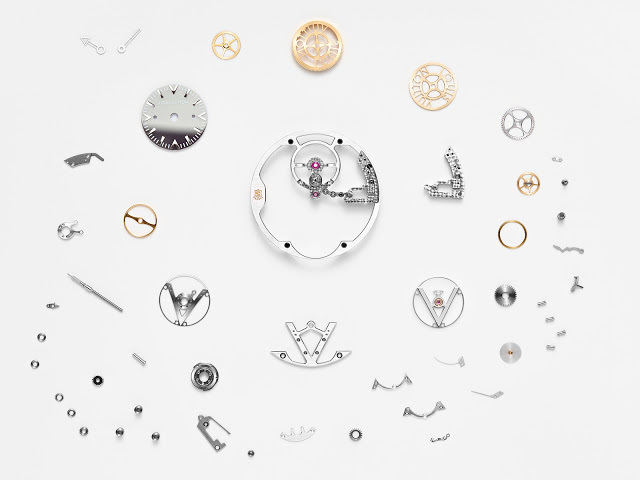 The Geneva Seal means that the movement meets specific criteria for decorative finishing, like polished pivots and chamfered edges on wheels, as well as timekeeping performance. The movement has been constructed as a skeleton calibre, as opposed to being an existing movement that has been reduced, leaving just the bare minimum. Most of the movement runs vertically down the centre of the watch, secured on the back by a base plate shaped like a double “V”. 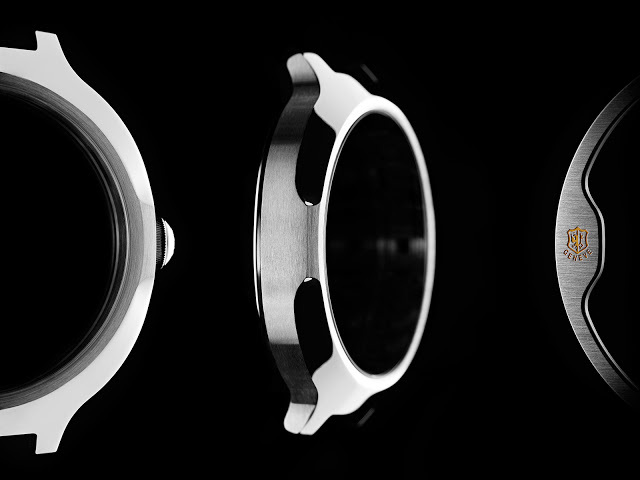 With rounded edges and a slightly ovoid form, the platinum case is a new design created for this wristwatch. It’s 41 mm in diameter and 9.1 mm high, and like the recent LV Fifty Five, streamlined in form in a manner that’s reminiscent of watches from the 1990s (remember the Ebel Beluga?). 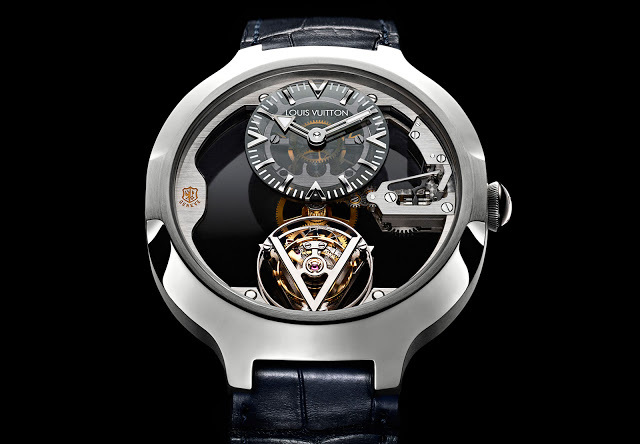 The price has yet to be announced, but similar tourbillon watches from the current line-up cost about €200,000.